Comments: We were purchasing a home with a 23 year old roof. We needed quick estimates so we would know exactly what we were getting into with this purchase. Elite Exteriors was able to get Zack out to check out this roof next day. 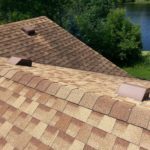 The inspection and estimate of the roof on our pending home purchase performed by Zack and Elite Exteriors quickly became our #1 pick (we had 3). Zack was the only one who actually got up on the roof, took pictures and thoroughly explained how Elite Exteriors would tackle the job. The other 2 estimators didn’t even get on the roof before they gave us a price. Zack presented us with… hands down….. THE BEST description of work to be performed, price and promise of exceptional service. He lived up to all of the above! We are so happy we chose Elite Exteriors and can’t say enough good things about Zack…. he was a pleasure to work with!!! The roof was done in one day and the guys did an exceptional job of cleaning up before they left. The next day I looked out my window and saw Zack walking around my yard picking up smaller pieces of packaging/trash that had been missed. I would hire Zack and this company again in a heartbeat!!! Comments: We hired Elite Exteriors after receiving a note on our door that the siding we had was defective and subject to a law suit. Very professional. Helped us file the claim for the suit to get remediation. Helped with the selection of materials, design and color combinations. The installation and demo crew was top notch. Met or exceeded our expectations in all aspects of the project. Would highly recommend. Comments: They are professional. The professionalism they displayed from start to finish was second to none. I have worked with many contractors in the past, and Elite Exteriors was the easiest to work with, and they gave me GREAT results. They were very price competitive, with a high end looking roof. I would strongly recommend this company to anyone looking for great results. Comments: Profession and easy to work with. Our roof looks great and the clean up afterwards was excellent. Would highly recommend Elite Exteriors! I called Elite Exteriors to replace a pool deck with composite lumber (expensive) so I was a bit anxious to contract with an unknown company. I read the reviews and they were stellar, so I got an estimate and ultimately went with them. The project managers and builders were professional, friendly, and very customer oriented. I ask a lot of questions but never felt patronized or sensed any annoyance about it. The builders were neat, on time every day, often called in advance to tell me their arrival time, and best of all built a beautiful, solid deck. I recommend them to anyone with a deck project and I wouldn’t hesitate to have them provide any of the other services they offer based upon my experience with their company. Louann and AC Chaudier, Eagle, WI. The estimate from Elite Exteriors was substantially better than from 2 other contractors. Their estimator also promised an early start to the job, as cold weather was fast approaching, and the company delivered, as promised. From all current appearances, the crew did a terrific job. They were prompt, courteous and did a professional job in all respects. Their same could be said for their estimator, as well. We contacted Elite Exteriors to discuss potentially residing our house. Ryan from Elite Exteriors worked with us to provide a detailed quote and a solid timeline on how long the job would take and when they could start. Ryan was also available to answer all of our questions about every detail that came to mind along the way. The crew showed up when they said they would and worked every day until they finished. It took about 6 days start to finish and then another day to install the front door we ordered. We had a small punch list of items that needed attention and Ryan sent his dad who took care of everything on our list. We would definitely recommend Elite Exteriors to our friend, families and anyone who asks about them. Excellent , professional, great job. Easy process, knowledgable crew, great price, and communication between myself and the roofing manager was top notch. Would refer them to anyone. Everything was Great! I was very impressed with Elite Exteriors from the beginning of the estimate process. Scott replied to questions and concerns quickly and professionally. The work was completed very quickly and turned out exactly as I wanted. Elite did a great job of explaining all of the options that were available to us while we were selecting products and colors. Their pricing was very fair compared to the other estimates that we received for the job. The estimate was broken down so that I could see exactly where the cost was coming from (I had other estimates provided that were one big price with no explanation of costs – which is not helpful.) All of the workers who worked on the project (both the siding installers, as well as the masons for the stone work) were very professional and made sure to go over all of the details of the project before the work was started so that everything would turn out perfectly. I definitely recommend Elite Exteriors for siding projects! I was impressed enough with their siding work that I have them doing another exterior project soon. Had a new roof put on and it looks great. Service from working on the quote and on was perfect, and the work was done very quickly. They showed up fast and polite to give us a quote, they fit us in for the job fast. They even came back on Saturday to finish up some last things. Roof looks great so far. Thank you. 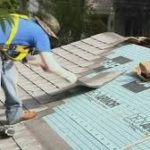 When I decided to replace the roof on my house, i talked to a lot of contractors. Elite Exteriors gave me a superior product with a great warranty for an exceptional value. The process was easy and I am very happy with the result. Also, we appreciate the final inspection and clean-up performed, by Zack the foreman. Zach you are a credit to Elite Exteriors and they should be proud to have you on their team. We were so pleased with your company’s work. 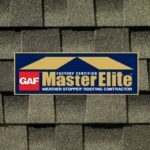 I would recommend a customer to Elite Exteriors for a new roof for their home. We recently had new siding and shutters put on our house. From the color choices to the end product, we could not be more pleased with the results. We received expert guidance in the process as well as a team who knew what they were doing and executed the job seamlessly. Thank you for helping us making our home look so nice! Very professional from start to finish. Helped with design and color choices. Gave proactive suggestions to the project that helped make it complete. Demo and installation went as smooth as possible. Team that did the work was courteous and very professional (and fun too). We just completed the project and have neighbors have commented on how great it looks. Very happy. Elite Exteriors met or exceeded our expectations every step of the way. Would highly recommend. I am EXTREMELY pleased with the roofing job from start to finish. Elite Exteriors started on time which included very professional and hard working installers and finished on time with the quality that is second to none. It is great to have a company show the care and professionalism that I was looking for. I will strongly recommend Elite Exteriors LLC to my kids, family and friends knowing that they will be as satisfied as I am. JOB WELL DONE!!! Zack did a great job coordinating the roofing job and making sure everything was done correctly. The crew was efficient and did a great job cleaning up afterwards.